Speaker of Iran’s Majlis (parliament) Ali Larijani (R) and his Syrian counterpart Mahmoud al-Abrash meet in the Iranian capital, Tehran, October 1, 2011. Speaker of Iran’s Majlis (parliament) Ali Larijani says Syria is in the forefront of resistance against the Zionist regime (Israel) and support for the Palestinian Intifada, insisting that the principled position has served as the main reason behind West’s latest hostile measures against Damascus. In a Saturday meeting with Syrian Parliament Speaker Mahmoud al-Abrash in the Iranian capital Tehran, Larijani denounced certain Western countries for interfering in Syria’s internal affairs and emphasized that it may lead to further complications in the country’s domestic situation. The Iranian Speaker noted that some regional countries that lack “acceptable democracies” in their own states, permit themselves to make interfering remarks regarding Syria, ISNA reported. He lauded the support of the Syrian government and nation for the ideals of the Palestinian people during recent years. Larijani further expressed hope that the reforms currently underway by Syrian President Bashar al-Assad will bear fruits as soon as possible. Syrian Parliament Speaker Mahmoud al-Abrash, for his part, said Tehran and Damascus have always been pioneers of defense for the ideals of the Palestinian people in the Muslim world. He added that the Syrian government has adopted reforms in the country which will result in positive outcomes. Abrash emphasized that the Syrian government and people will unanimously fight against foreign conspiracies. The meeting between the Iranian and Syrian parliament speakers was held on the sidelines of the 5th International Conference on Palestinian Intifada which opened in Tehran on Saturday with the purpose of calling enough attention to the issue of Palestine. Representatives, parliament speakers and scholars from different countries as well as a number of Palestinian leaders are attending the two-day event. The conference, with the motto of “Palestine, Homeland of Palestinians”, focuses on the restoration of Palestinians’ rights, including their rights to return to their homeland and determine their own fate, and on the liberation of Palestinian territories occupied by Israel. 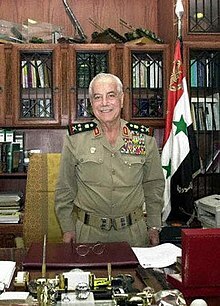 The Syrian régime (both under the late President Hafiz al-Assad and his son and heir, Bashar) has always been infected with anti-Semitism, expressed not only in statements made by Bashar Assad but also by the frequent use of anti-Semitic references in the controlled Syrian media and culture. An anti-Semitic book about the Damascus blood libel (See below), called The [Passover] Matzo of Zion , was published in Syria during the reign of Hafiz Assad and written by Mustafa Tlass, the Minister of Defense. It has been reissued many times and has never gone out of print. In Syria, anti-Semitic books , newspaper articles, cartoons and television shows appear regularly. In general they are inspired by classic Christian-European anti-Semitism . The anti-Semitic “products” are exported to the entire Arab and Muslim world; the two closest target audiences are in Lebanon and the Palestinian Authority-administered territories. The Syrian educational system is riddled with anti-Semitism. A study carried out by The (Israeli) Center for Monitoring the Impact of Peace (CMIP) in Jerusalem of 68 textbooks 1 used in the 11 th and 12 th grades in all subjects did not find one single pro-Jewish statement. The Jewish religion, according to the books, is racist , and the Jews are portrayed as having always been enemies of the Arabs , of Islam , of the entire human race, of the prophets and of God . Therefore, according to the textbooks, the worldwide hatred for the Jews is justified, and the Holocaust, whose extent the Jews exaggerate, was also justified. These themes appear not only in high school text books but also in the Syrian printed and electronic media and in speeches of Bashar Assad . 1 The books examined were used in Syrian schools during the 1999-2000 school year. “We hear how they [the Israelis] kill the principle of equality even as they speak of Allah’s having separated them from the other nations of the world. We see them damaging the Christian and Muslim holy places in Palestine. They desecrate the mosque of Al-Aqsa, the Church of the Sepulcher [Jerusalem] and the Church of the Nativity [Bethlehem]. They attempt to destroy all the principles of the monotheistic religions for the same reasons they betrayed and tortured Jesus, and for the same reasons they tried to kill the prophet Muhammad ” (Bashar Assad to the Pope on May 5, 2001, reported by Radio Damascus). Anti-Semitic books are regularly published in Syria. One of the most barefaced was written by Mustafa Tlass, the Syrian Minister of Defense , and called The [Passover] Matzoh [unleavened bread] of Zion ; it was published while Hafiz Assad was president. The book, which details the 1840 Damascus blood libel 2, is still a best seller. 2The Damascus blood libel (1840) refers to the story of a Capuchin monk from Sardinia who disappeared in Damascus with his Muslim servant. The Christian community in Damascus, incited by the local French consul, accused the Jews in the city of killing the monk and using his blood in religious rituals. The local Ottoman governor arrested 7 respected Jews and ordered them to be tortured. Two died and one converted to Islam to save his life. The British demanded the release of the remaining 4, who were eventually released. The exploitation of this affair for propaganda purposes will be mentioned again in the section dealing with Jordan. In view of the great demand for the book, the eighth (!) 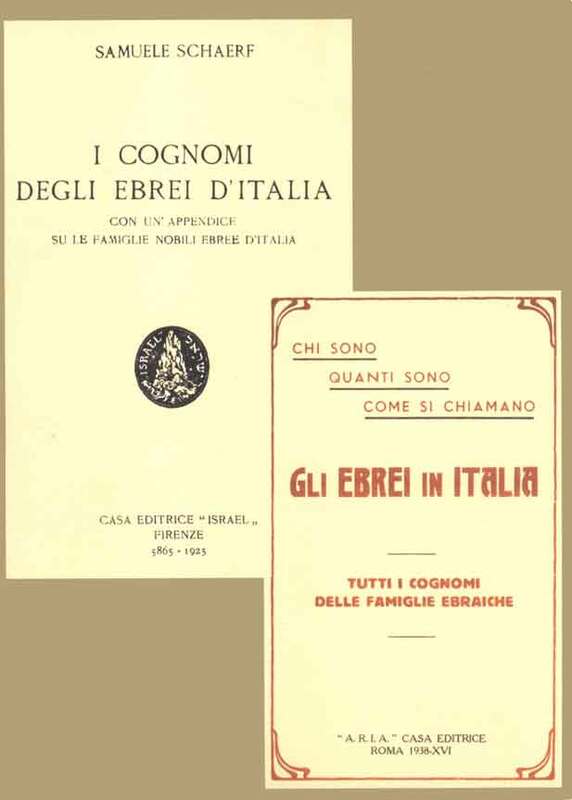 Arabic edition was subsequently translated into other languages, including English , French and Italian . Mustafa Tlass promised that every new edition would contain an extra chapter or document which would shed light on the Jewish distortions of the Torah and on the criminal practices of the Jewish religion . He said the additions would be based on the words of Allah and quoted from the relevant verses of the Qur’an. The book preaches hatred for Israel, the Zionist movement and the Jewish people with added “ legal justification ”. The first prominent feature of the book is its cover , which depicts Ariel Sharon, Israel’s current prime minister, as looking “ typically Jewish ,” ugly and bloodthirsty (on his face and skull are bloodstains and a list of acts of slaughter); he is shown as behind bars. The illustration uses the familiar tactics of the Nazi publication, Der Stűrmer : The Jew is presented as ugly and evil with exaggerated, easily recognizable racial characteristics. That is done to de-legitimize him and his rights, to demonize him, to make him an automatic object of hatred and to prepare the ground for physical assault on and annihilation of the Jews as a whole. The International Court is a propaganda pamphlet dedicated to “the heroes of the intifada” written “to prove to the world and the Arab and Muslim nations that Sharon and those in power with him [in Israel] are merely transitory and can be replaced, while Arab Palestine will remain forever… ” (p. 8). According to the foreword by Salim al-Za’nun, Chairman of the Palestinian National Council , the book presents material which will serve the International Court as grounds to indict Ariel Sharon, the Israeli prime minister, and other important Israelis, of committing war crimes against the Palestinians. The Talmudic Perception was written by ‘Abd al-Majid Hammu , and is one of a series of anti-Semitic works by the same author. A review in the October 26, 2003 Internet edition of Al-Thawra, a government-affiliated Syrian newspaper, stated that the book exposed the Talmud’s profound hatred for the world. It is the result, said the reviewer, of the distinction the Talmud makes between the Jews, as the chosen people, and the non-Jews, who are described as unclean animals created to live under Jewish rule. The Talmud serves the Jews, according to the article, as a source of inspiration for Zionist ideology, and teaches racism and hatred for non-Jews and humanity at large. It relates to non-Jews as animals created in the form of men whose only purpose is to serve the Israelites day and night and to praise the name of Israel . The article then analyzes The Protocols which, it claims, show the Jews conspire to “destroy all other religions,” “enslave all other nations” and “destroy world economy.” That is to be done by causing strife, inculcating distorted values, misleading the younger generations, and by the use of aggression, wars and hatred causing death, poverty, famine, disease and alcoholism. Holocaust denial and the identification of Zionism with Nazism : excerpts from “The connection between Zionism and Nazism,” a program broadcast by Radio Damascus on May 9, 2002. According to the Syrian daily establishment newspaper Teshreen , the Zionist entity is artificial, incidental, racist and feeble, and will eventually cease to exist: “They, the Jews, have always lived in a closed socio-religious environment and are a parasite on the body of the culture which gives them refuge. Extremist Zionist-Israeli society, by means of killing, terrorism and deportation, constructed itself on conquered Palestinian lands as an artificial entity . The real danger threatening Israel comes from the same harsh ideological contradictions on which it was founded. It is an artificial entity, extremist and feeble …which was established as a result of [an international] decision on Arab lands to which people who have nothing binding them together were brought… [and it] exists by virtue of foreign money and stolen treasures, and on the logical foundation of cheap political blackmail… It is racist in the extreme and based on a hostile philosophy… [of] expansion and colonization, rejection of the rights of others, cold-blooded murder …History cannot secure [to such] a Fascist racist entity…the conditions for [its] continued existence ” ( Teshreen , June 16, 2002). According to an article by Dr. Bashir Khalaf which appeared on the Teshreen Internet site, the Jews stole the Canaanite and Babylonian heritage : “The documents [which were discovered during the excavation of an Ugaritic city in 1929]… proved that the beliefs found in the Torah were plagiarized from ancient oriented Arab Mesopotamia. What the Jewish sages added was the aspect called “divine,” which separated [Jewish] men from their brothers and the cultures of humanity by means of a racist ideal devised by them … The Jewish presence in the Land of Canaan included groups whose livelihood was based on theft and which tried to destroy Canaanite culture… The first theft was the Canaanite language … It is possible that their contact with the Canaanites might have made them more humanitarian, but apparently their mental, emotional and social makeup prevented them from entering the framework of Middle Eastern Arab cultural life … The Torah claims that Solomon wrote a thousand poems and composed three thousand proverbs. However, in fact most of them belonged to the Middle Eastern, Canaanite, Babylonian and even Egyptian traditions . It is written in Samuel II that [King] David danced before the Ark of the Covenant… The dance was part of a Canaanite agricultural rite” ( Teshreen Internet site, July 6, 2002). The Syrian film industry produces anti-Semitic movies such as the TV series called “Al-Shatat” – The Diaspora, which was produced in Syria and broadcast by Al-Manar, the Hezbollah TV station in Lebanon (See below, the section dealing with Lebanon). Another clearly anti-Semitic, anti-Israeli film was “ The Garden of Death ” (See below). In 2001 a Syrian company called Al-Sham International, Movie and Television Productions, Inc. , produced a strongly anti-Israeli, anti-Semitic film directed by Naji Ta’mi. It portrayed the Israelis as a mob of killers who sought to kill all Palestinians for religious reasons, and encouraged continued bloodshed and the continuation of the Al-Aqsa intifada . It was broadcast in Syria, in Lebanon via Al-Manar, the Hezbollah TV station, and even by the Palestinian TV station on the eve of Eid al-Adha (The Festival of Sacrifice) (February 11, 2003).